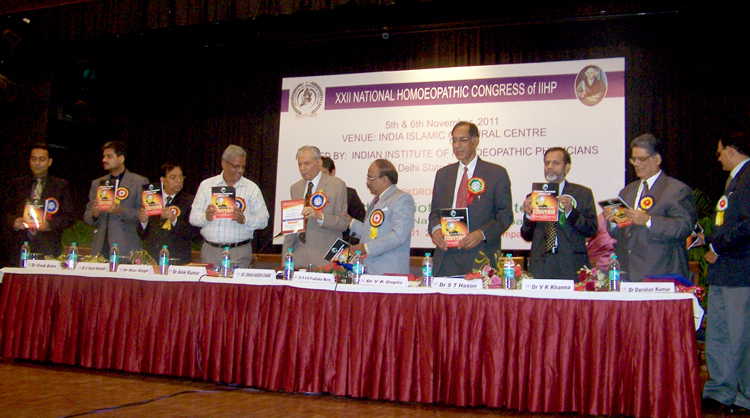 NEW DELHI.NOV.6: The XXII National Homoeopathic Science Congress, held at Islamic Center, Lodhi Road. Dr. Diwan Harish Chand chief Guest of the occasion inaugurated the congress. Dr.Alok Kumar, Director General, Central Council for Research in Homoeopathy was the Guest of Honour Dr.K.R.K.Prabhakara Murthy, IIHP President presided over the function. The Congress began with the garlanding of the bust of the Founder and lighting of the lamp of wisdom. A souvenir also released commemorating the event.